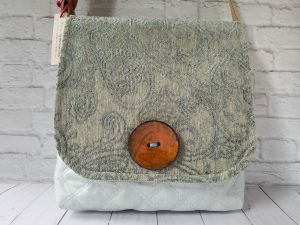 A spring bag that will look great year round! 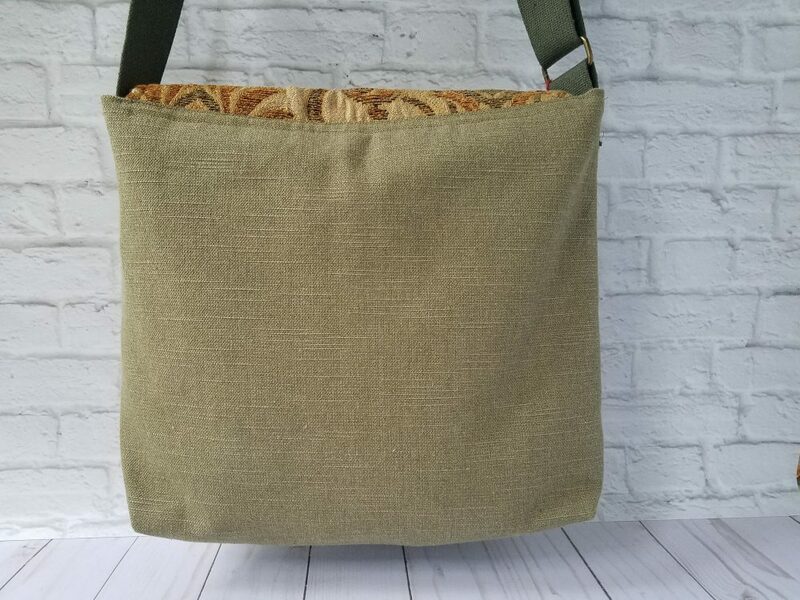 This vegan fabric handbag will fit all your essentials and more, while keeping your hands free. Use it daily, or when you want to spice your outfit with a soft, romantic touch. A great gift for Mother’s Day, a birthday, or just because! 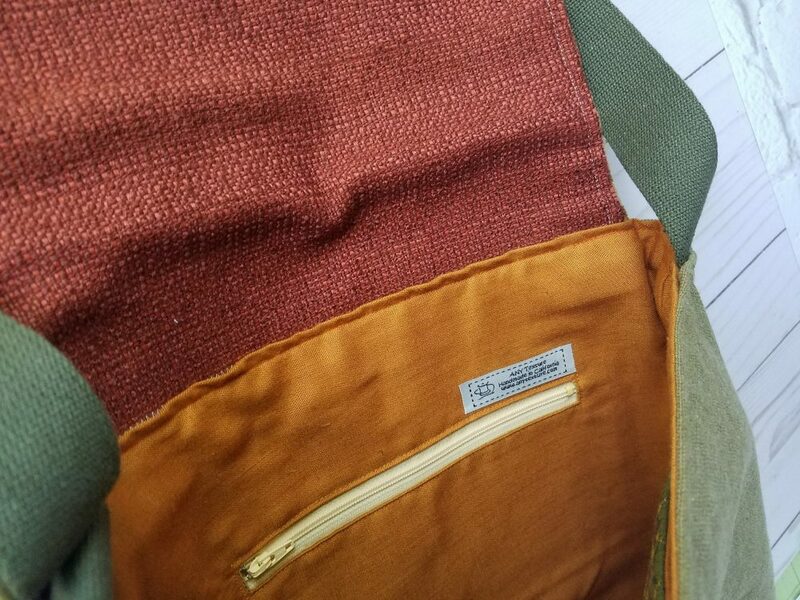 – The bag is 10.5" wide and 10.5" tall, and is 3" deep. 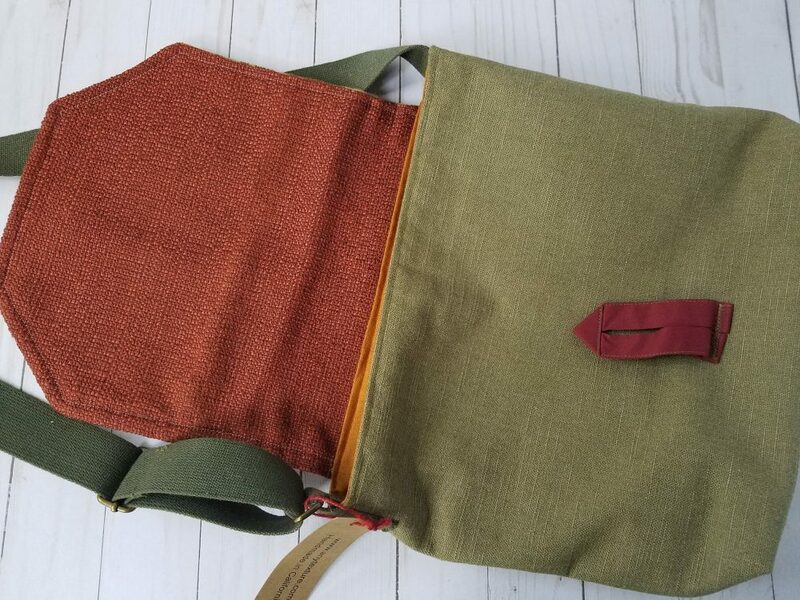 – This satchel has a solid olive body. 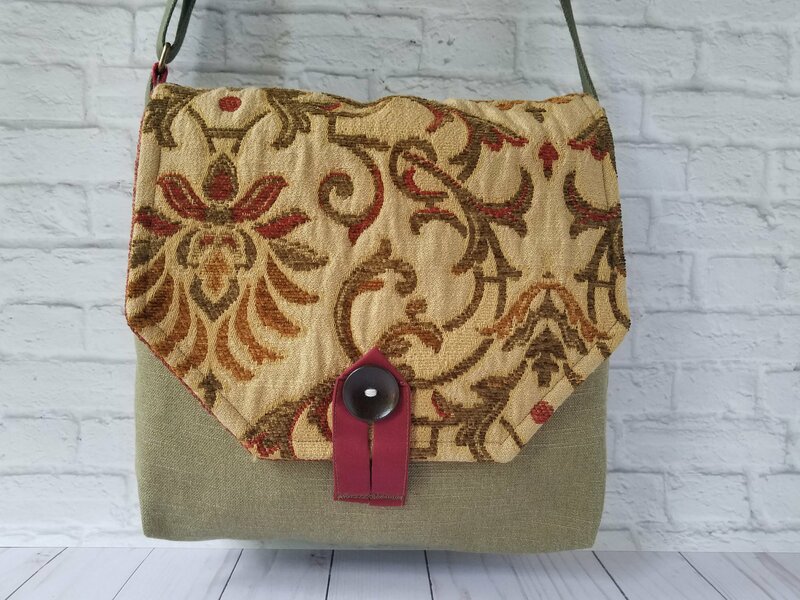 – It features a half-hexagon flap with a vine/leafy/flowery design, in beige, olive and burgundy. – The flap is decorated with a brown wooden button. – The underside of the flap is a solid maroon. 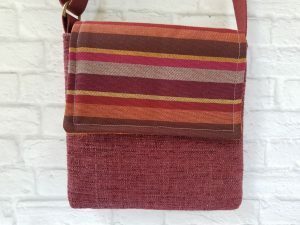 – The handbag closes with a button and a handmade burgundy cotton loop. 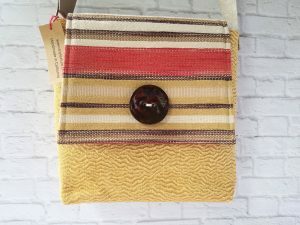 – The purse has an olive cotton webbing strap that is 1.5" wide. The adjustable strap ensures a perfect fit. It is long enough for carrying cross body, but can be shortened to carry on the shoulder. 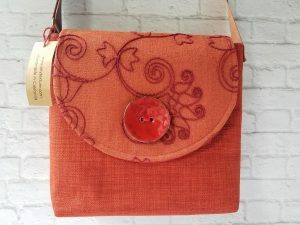 – The satchel is lined with a solid orange cotton. 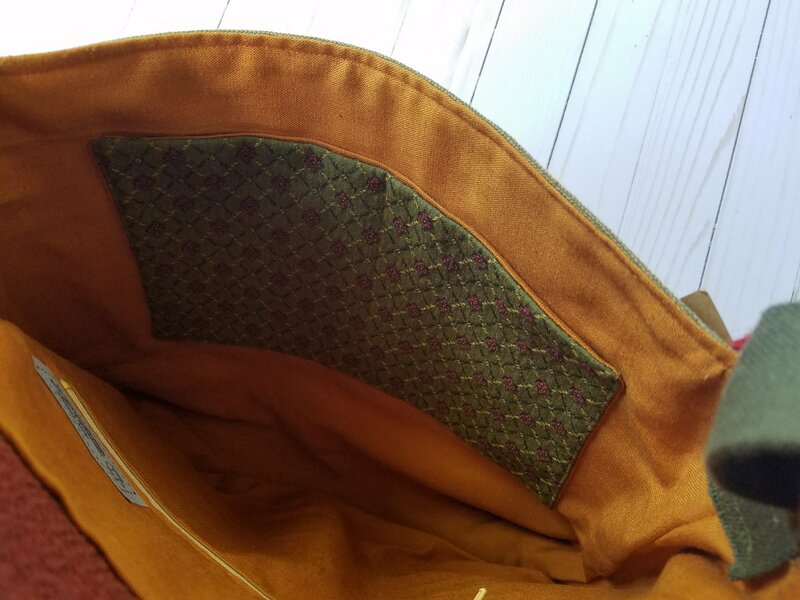 – There is a zipper pocket and a regular pocket on the inside for holding money, keys or cell phone.